Even though I’m a nutritionist, I’m not much of a foodie, or a chef, so I love simple meals that are easy to prepare, and easy to digest. 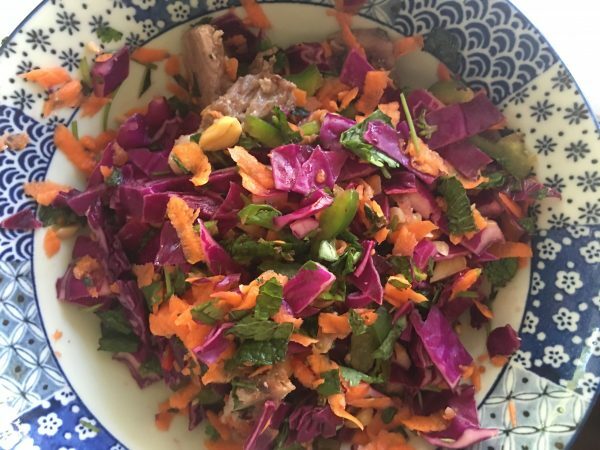 This Vietnamese salad is a ripper, and is really tasty. With no grain or dairy, and an option of removing the sugar, it is ideal for ketogenic diets, intermittent fasting programs, paleo diets, and weight loss diets or elimination/detox programs. 3 (600g) chicken breast fillets – in this case I used lamb. 2 tablespoons brown sugar – I removed this and replaced it with some stevia to make it lower in sugar or calories, so truer to a Paleo meal or detox recipe, or in line with the guidelines to keep one in ketosis on a ketogenic diet. It still tasted yum!! Make dressing: Whisk lime juice, fish sauce, chilli (and sugar – optional) together in a jug until sugar has dissolved. Place chicken in a large saucepan. Cover with cold water. Bring to the boil over medium heat. Reduce heat to low. Cover. Simmer, turning once, for 10 to 12 minutes or until cooked through. Remove from pan. Cool. Shred. Where the science stands, and what it means for you. The linked article (below) is a summary by Dr Georgia Ede on a recent review article “The Current Status of the Ketogenic Diet in Psychiatry” by researchers at the University of Tasmania in Australia [Bostock et al 2017 Front Psychiatry 20(8)] that updates the status on research of ketogenic diets and mental health. Dr Ede, adds: ”Ketogenic diets have been around for about 100 years, and have proved to be invaluable tools in the treatment of stubborn neurological conditions, most notably epilepsy. They have also shown promise in the management of other brain-based disorders such as Parkinson’s Disease, ALS, Traumatic Brain Injury, Multiple Sclerosis, and chronic headaches, as well as in metabolic disorders like obesity, cancer, and type 2 diabetes. 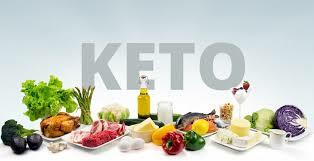 I have used controlled ketogenic diets in clinic for over 15 years and have found them extremely effective for weight loss, raising energy levels, regulating and lowering blood sugar levels, improving sleep quality, and reducing inflammation and chronic pain. If you are interested in investigating ketogenic diets further for your general health or health condition, or would like to book in to start a program, please email me at tim@timaltman.com.au or call 0425 739 918.